The 2014 FIFA World Cup is just about ready to rumble but sports predicting critters Fred the Ferret and Paul the Octopus have both retired from prognosticating. Whatever will soccer fans do? 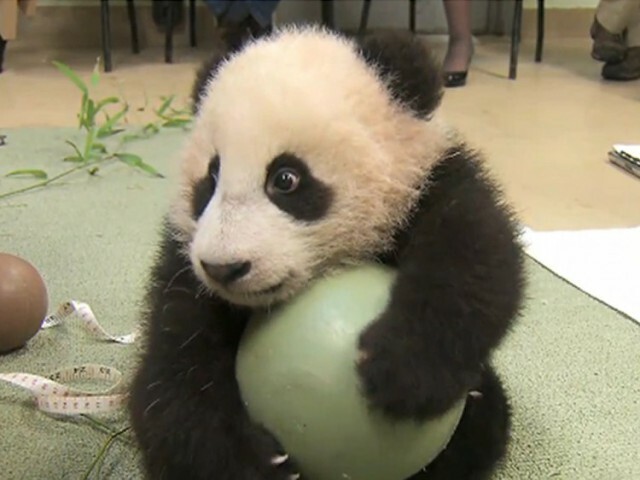 Fear not, futball fanatics, ten baby pandas are promising to predict the winners online and on TV before each game. 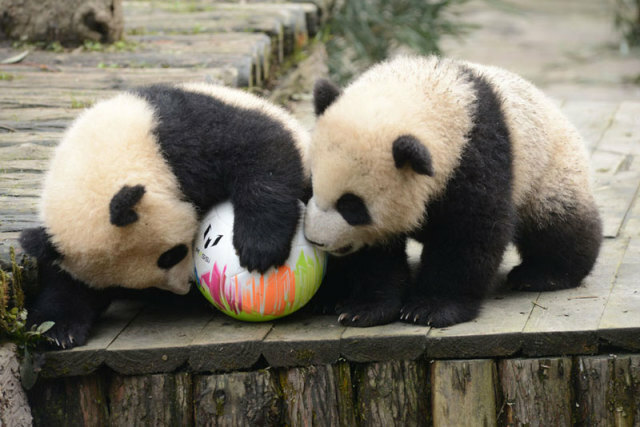 Pandas and soccer are natural partners due to the remarkable resemblance between chubby young pandas and fully inflated soccer balls. The China Giant Panda Protection and Research Center in Sichuan province and panda-themed website iPanda have similarly joined hands (or paws) to add a little panda-monium to this year's World Cup. All ten baby pandas involved in the “Pandas Kick-off” predict-o-rama event were born at the Center in 2013. 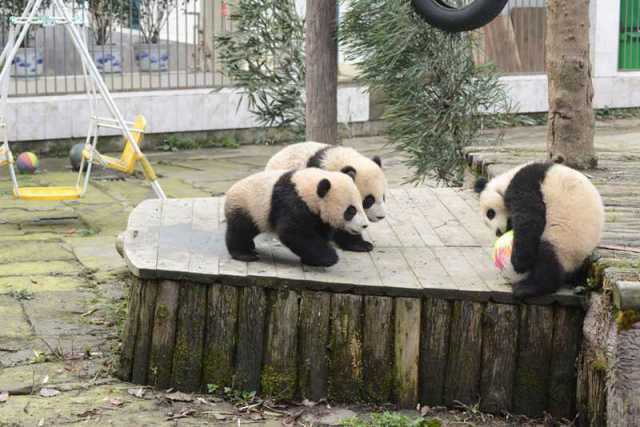 Center staff will encourage the young bears to predict game winners by allowing them to choose food from bins marked WIN, LOSE or TIE, climb trees festooned with the flags of participating nations, and by racing around the panda kindergarten at the Sichuan Bifengxia Base. Far from exploiting these gentle creatures, the event helps staff provide needed stimulation for the Center's resident pandas, who care nothing for soccer but just like to have fun! UPDATE: Authorities have put the kibosh on any sort of World Cup baby panda predictions, as "they're concerned that the pandas will be used as a publicity stunt to entertain people," Well, yes... did anyone really believe baby pandas could accurately predict soccer game results? Robot Rescue Roaches -- The Animal Video of the Day!! !